Discussion in 'General Discussion' started by Faeruin, Apr 18, 2018. Got this new ASC i like it, may as other people do. Buuuuuuuut... why its not moddable? Projectile color is neat, gun looks neat. I wish to use it, but without mods you are gimping yourself. Even asurian's is moddable. Will we have any possibilty to get ASC mods on that gun? To make it viable huh. jbregg and Firskon like this. Yeah, making this un-moddable was a strange move. I get it for the Witchblade of Fire but not the two skins. I'd call it an oversight, had I not pointed it out. My best explanation? So Asuryans Fury remains something special. Even countless variations of bolturs (silver, gold) can be modded without visuals. Yet FWrath is nothing special. Just a non MC catapult. Look i can understand why sternguard bolter or gatekeeper is locked for modding - theese have integrated things like MC stats and optics/ammo. And here is nothing than recolored spray of shooting. Gotta be a bug, I remember just after release all store bought weapons were un-moddable. this was deemed a bug and was ironed out. 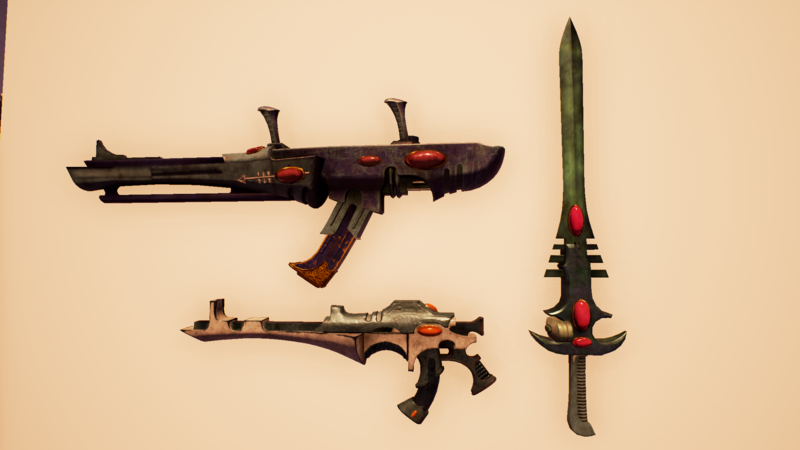 Only unique weapons found in boxes that have special effects such as the Witchblade of Fire should be un-moddable. I call it an oversight. Can't think of a single viable reason why this gun shouldn't be mod-able. Witchblade of Fire, yeah. As it is a unique Weapon. Let's give a call out to @jbregg and see his thoughts. Be warned it's not quite Christmas yet. Yeah this was a mistake on my part, I'll fix it up. NurgleBurger, Talron and CuCulainn like this. are you going to add mods for heavies and armor pieces ?